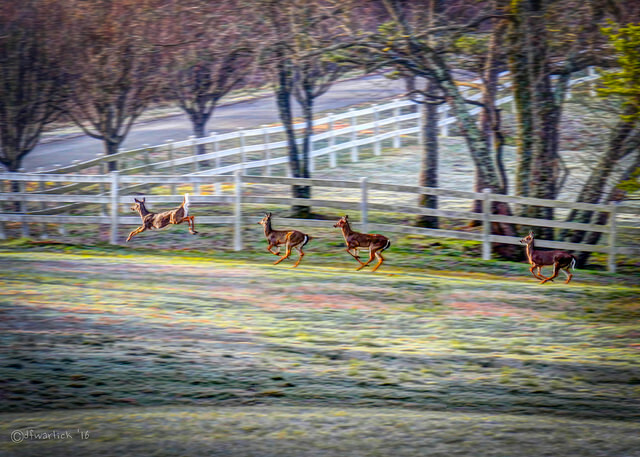 These deer waited in some trees to the right until they apparent found the appropriate moment to dash across the street in front of us. This photo took a great deal of post processing, including an initial HDR treatment with PhotoMatix Pro. 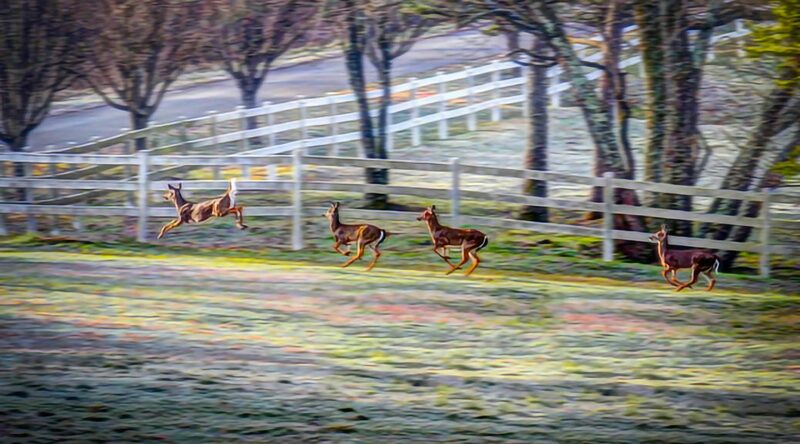 Then I divided the photo into layers in Photoshop, masked out the animals, and then applied a motion blur on the background to convey more of a sense of motion and speed.